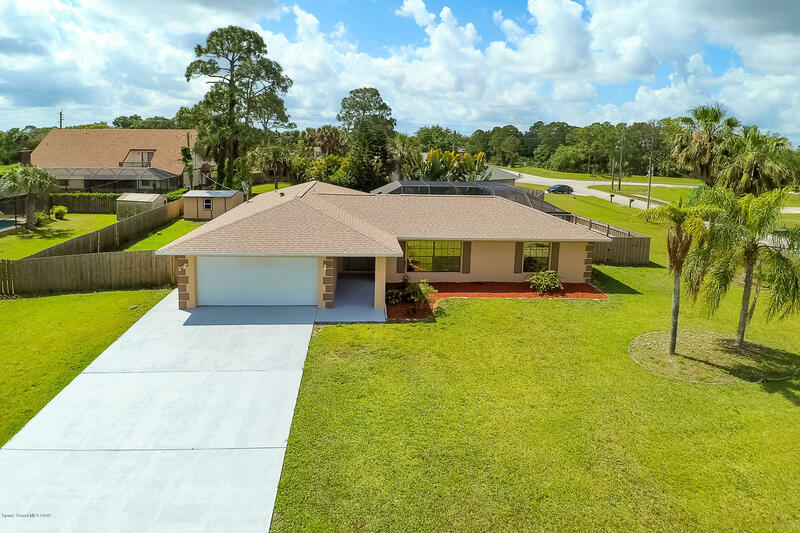 Privacy Galore on this .43 acre fenced in 4 bedroom pool home in Lockmar Estates! ROOF 2017, A/C 2017,Silestone kitchen countertops, new kitchen cabinets, freshly painted exterior and interior, Tile everywhere except 4th bedroom that has brand new carpet, huge trussed glass enclosed tiled porch. Pool has baby gate too! Huge laundry room that has an extra storage room with storage cabinets. Brand new electric oven and overhead microwave. DBL sinks in master bath. RV OR BOAT PAD, brand new shed too. SELLER IS OFFERING A 1 YEAR HOME WARRANTY ON THIS HOUSE! Large pool is 15 by 30. 3 minutes to The Landings and I95. Quiet neighborhood on a quiet street. A must see!